Parenting can get a whole lot more challenging over the winter months. You are stuck inside more often, it gets dark early in the evenings, & illnesses are often drifting around. 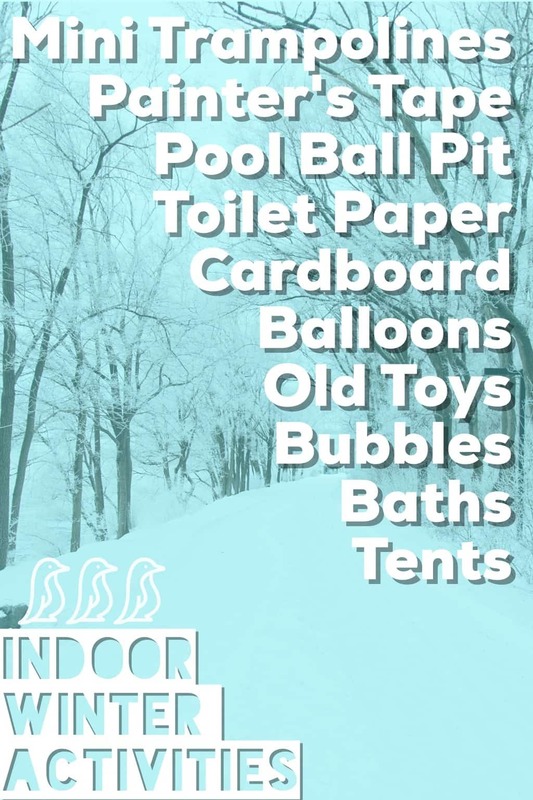 I’ve put together a list of activities that you can use to entertain your children during these days where you are stuck inside & going a little bit stir crazy! Mini Trampolines – We actually have two of these mini trampolines for my boys to bounce on in the basement when they need to get out some energy. 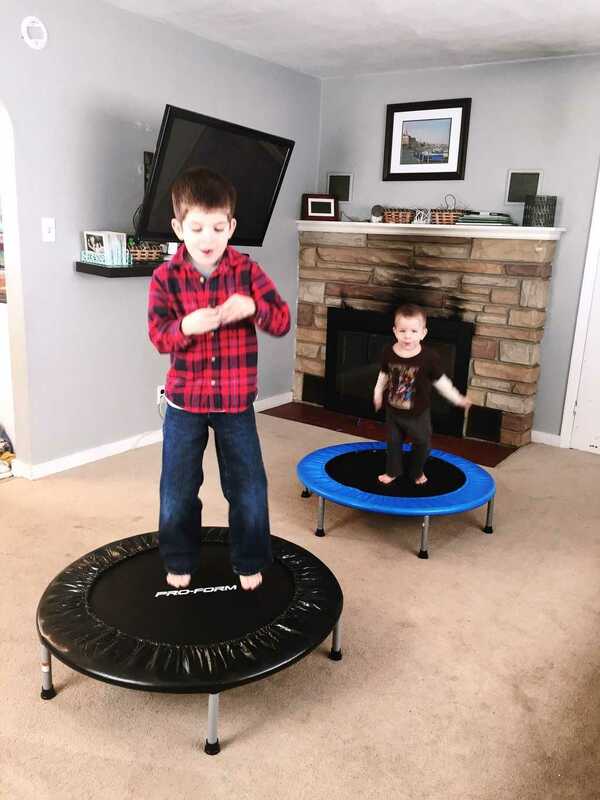 You can buy the small, round exercise trampolines instead of the ones marketed to kids (they are significantly less expensive). Painter’s Tape – Painter’s tape can instantly create a whole, new world right on your living room carpet. 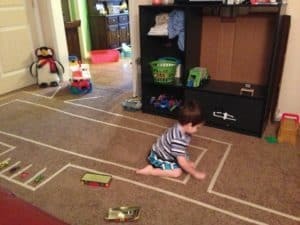 You can create race tracks, mazes, parking lots, hop scotch, rivers, or anything else your kid can imagine. 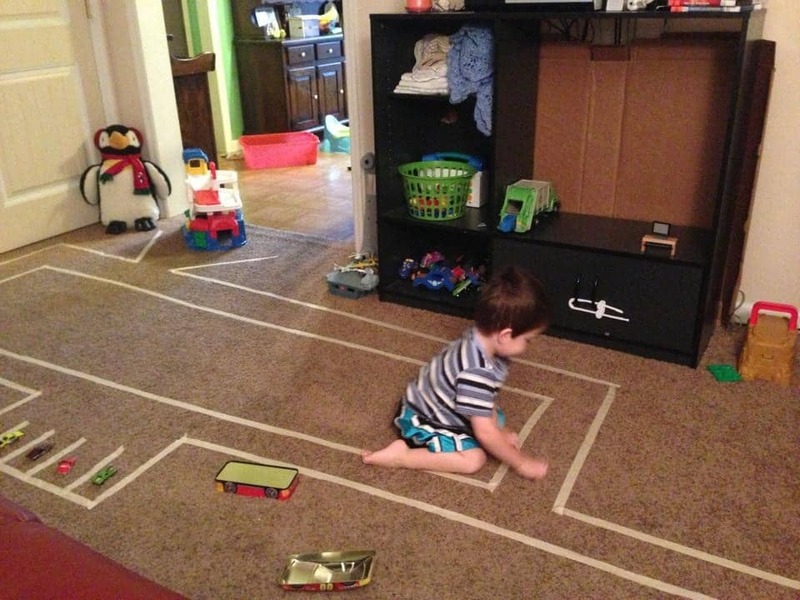 When you are done playing, peel up the tape & throw it away – simple! Pool Ball Pit – Most of us have kiddie pools laying around that we use every now & then over the summer. Here is a chance to get some more use out of it! Bring it inside & fill it up with ball pit balls (you can buy these on Amazon or at Toys R Us). 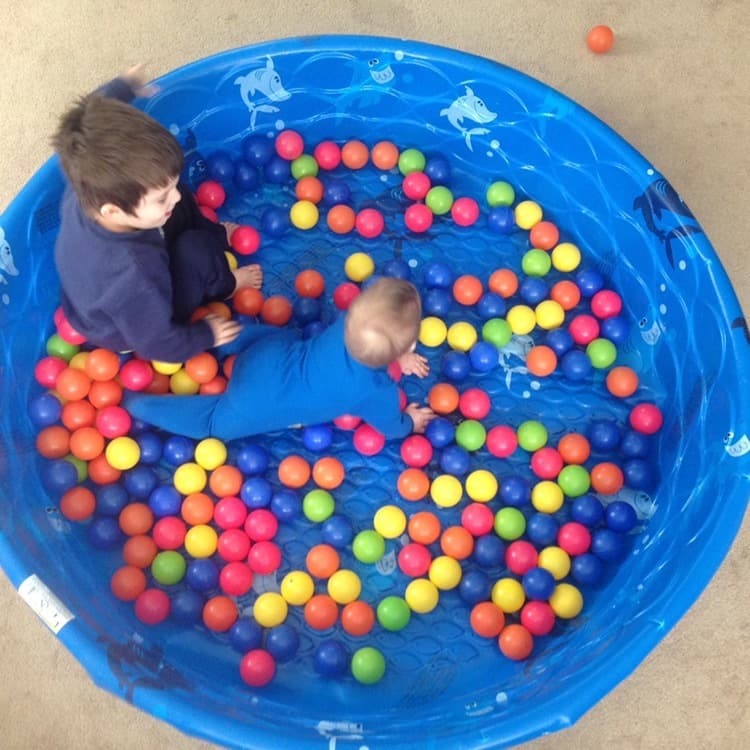 If you don’t have ball pit balls on-hand, then fill up the pool with normal balls or toys! Your kids will like the novelty of it regardless. Cardboard Boxes – We are big fans of Amazon Prime, which means that we have a lot of cardboard boxes stockpiled in the basement. Every once in a while, I let the boys do whatever they’d like with them. They can color them, cut them, tape them, etc. You don’t need a plan for this one – just let them use their imaginations. 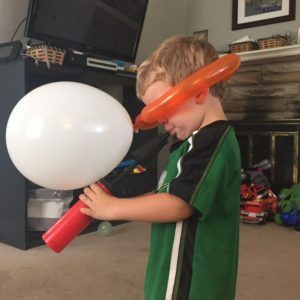 Balloons – I have a whole collection of balloons that we get out from time to time when we really need a different activity to distract us. We have normal balloons, long balloons (that you can make balloon animals out of), & rocket balloons (where you inflate them, & then they fly around the room). 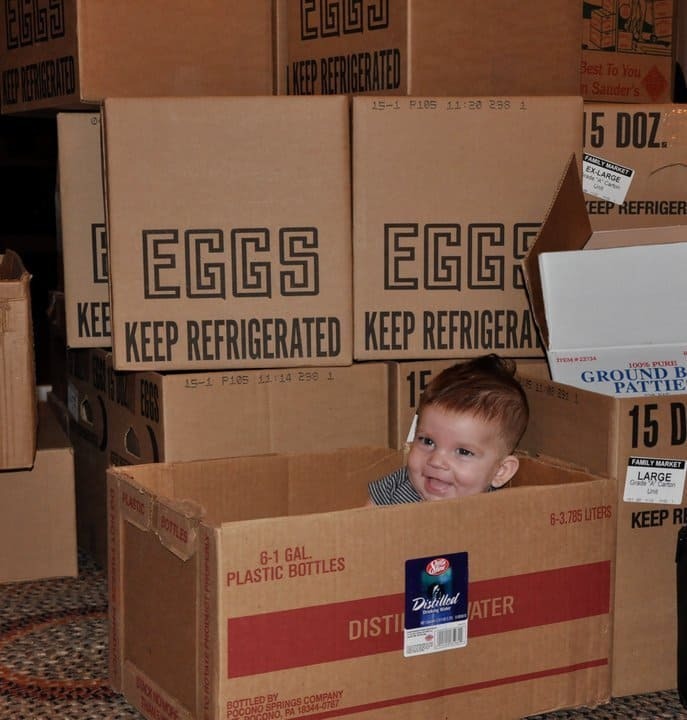 Old Toys – We don’t have enough living space in our house to have all of the kids’ toys out, all of the time so we keep a lot in storage in the attic. It is extra exciting to bring a box of toys down that the boys haven’t seen in a while, & it usually keeps them occupied for a while. 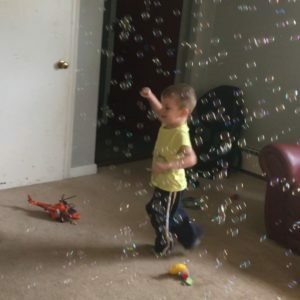 Bubbles – Bubbles are not just an outdoor activity in our house. My boys are 6 & 3, & they still get the giggles when we blow & pop bubbles. 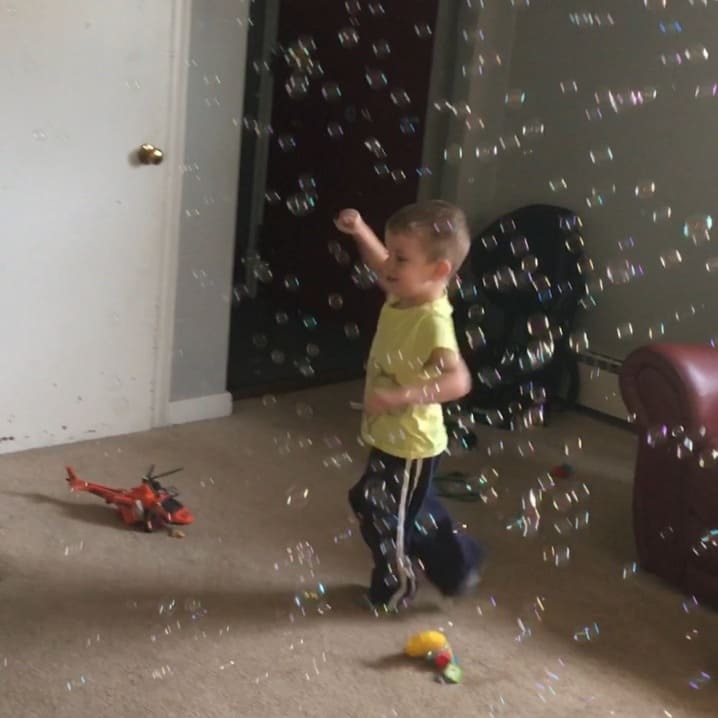 I have even turned on the bubble machine in our house when I am really desperate for some entertainment. Baths – My kids love to lounge in the bathtub. 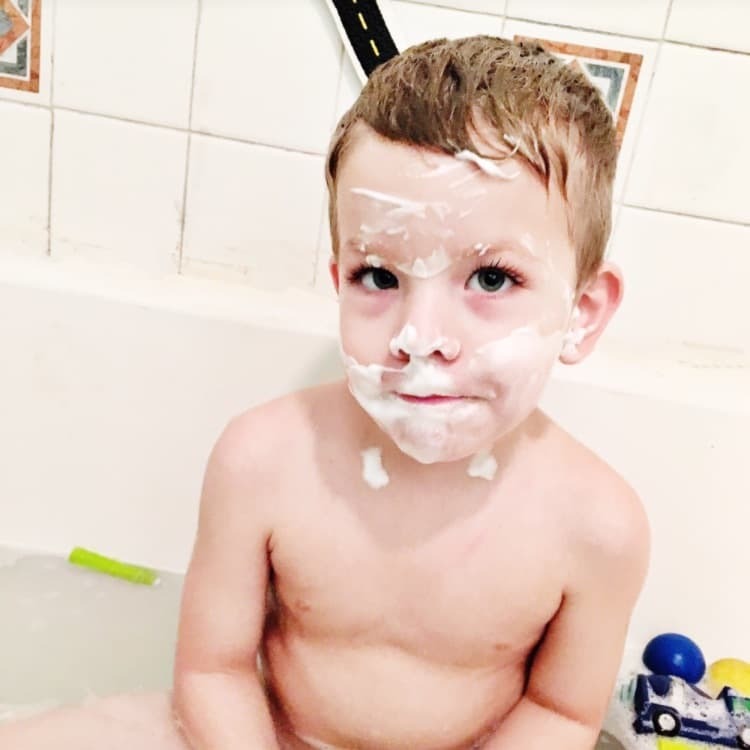 If we need to kill an hour or two, I let them use watercolor paints in the tub & let them use some of Daddy’s shaving cream on the walls. It is always amazing to me how long they will “swim” in the tub if I am not rushing to get them out & get them dressed. Tents – We have somehow gathered a hefty collection of those pop-up tents for kids. There are different character tents & different tunnels. 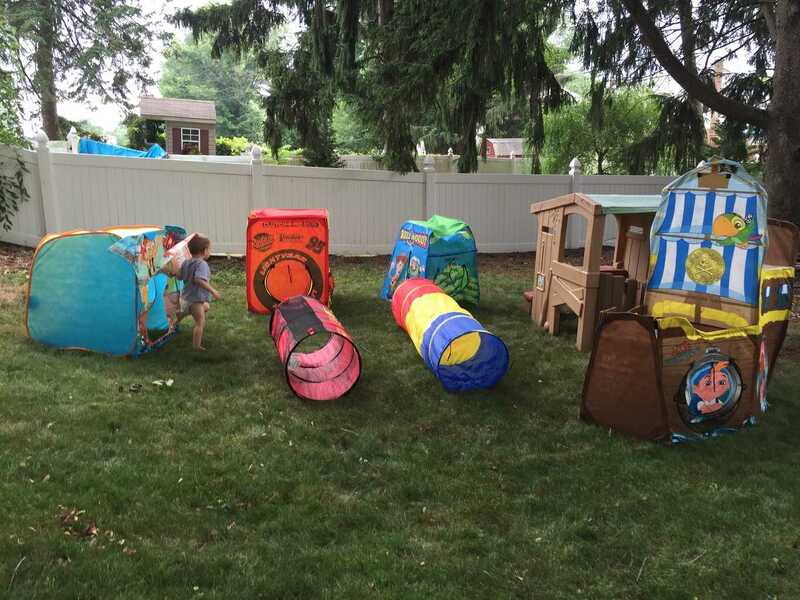 We like to get them out from time to time & set up a whole maze of tents & tunnels for the boys to play in.